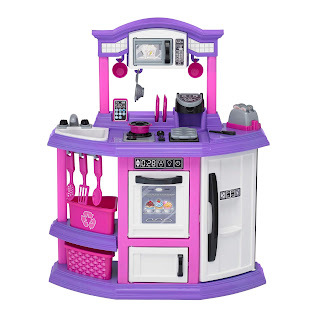 Walmart has the American Plastic Toys Baker's Kitchen on sale $25.52, down from $41.98. The American Plastic Toys kitchen has 22 accessories including plates, coffee cups, utensils and baking pans. It even comes with 2 baskets for a cute storage idea. 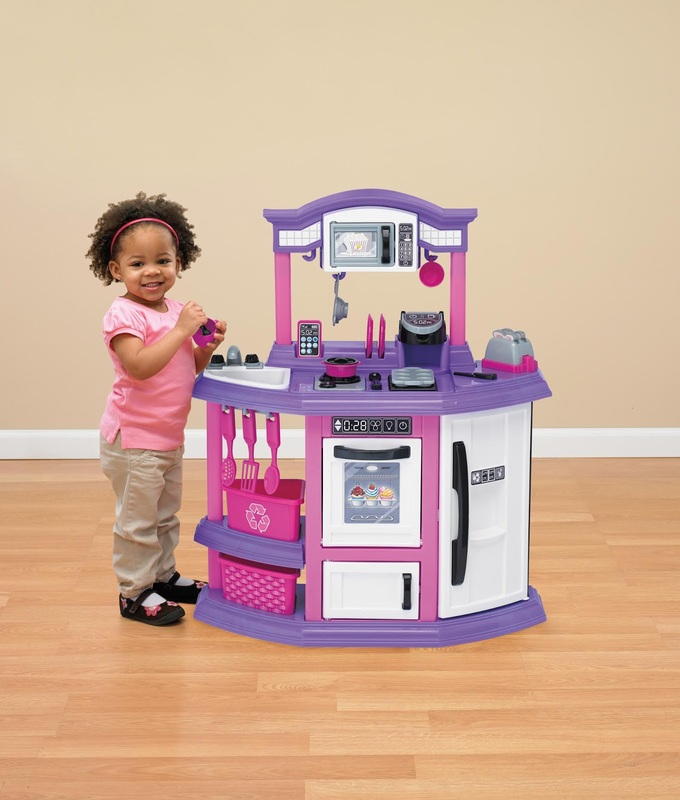 This kids' play kitchen features a light-up burner that makes a sound. There is a microwave that opens and closes, a coffee maker, toaster oven and more.